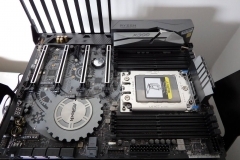 So, we’ve established that Threadripper is a powerhouse but it still needs a motherboard. The ASRock X399 Taichi is one of the more affordable Threadripper motherboards on the market but it isn’t short on features or build quality. 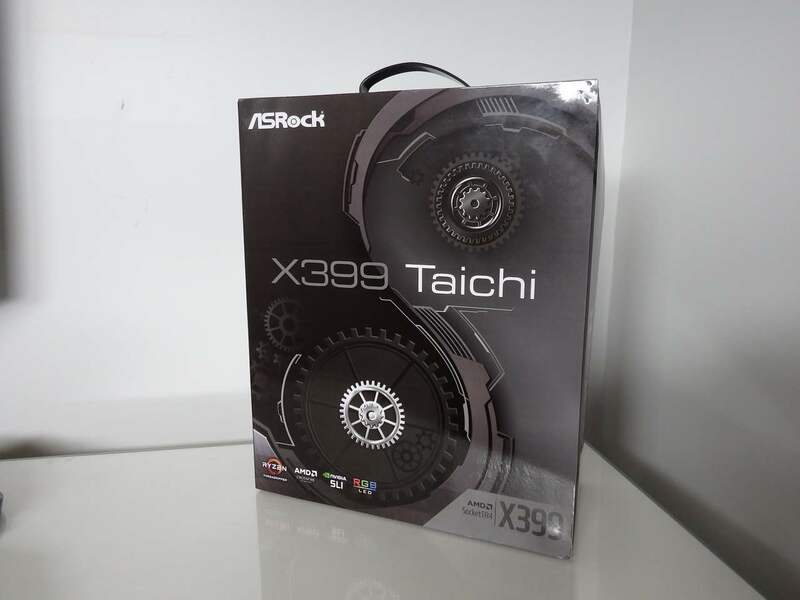 The ASRock X399 Taichi is a good example of value for money in a premium platform. 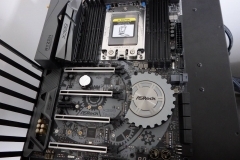 The Threadripper 1950X will set you back over $1300 and then a motherboard to drive it can cost between $549 and $879 on top of the CPU price. 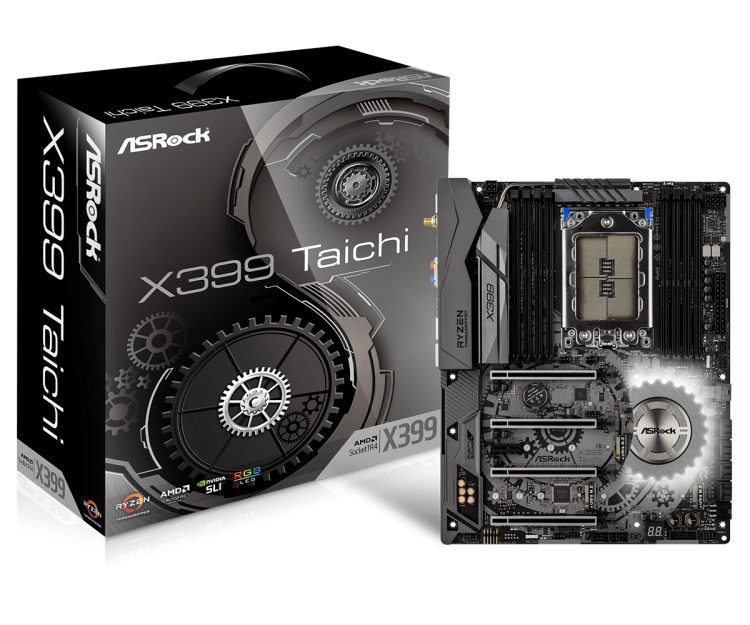 The ASRock X399 Taichi is available at the $549 price mark, making it the least expensive motherboard on the market to drive your new AMD Threadripper system. 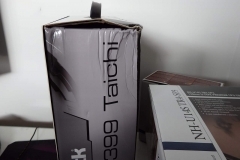 After spending a month using the X399 Taichi, I’m unable to fault it with the list of features, stability and build quality ticking all the ‘essential’ boxes plus a few value-adds. 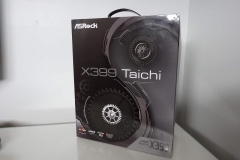 Let’s take a moment to look at the Taichi’s target market. 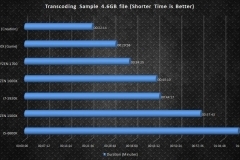 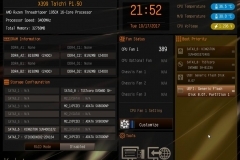 Threadripper CPUs are relatively expensive when compared to other AMD offerings like Ryzen 5 or Ryzen 7 that both handle multi-tasking and gaming well, with the latter being very capable when it comes to content creation, streaming and transcoding. 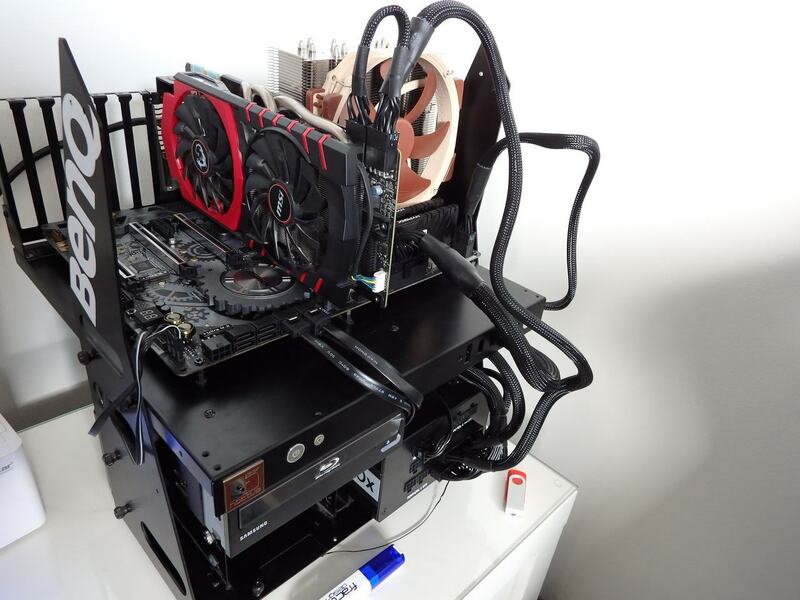 People who want/need more than that are likely to be the type of power users that heavily multitask, need to produce media/content while doing other things or involved in development/design functions. 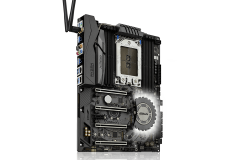 Although this is not a ‘Gaming’ motherboard, there are some elements to it that would suit a gamer or someone who likes to game while their system does another task in the background – as per Threadripper’s mission statement. 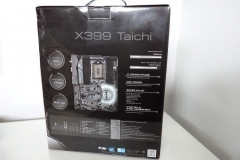 The X399 Taichi is capable of 4-way SLI or Crossfire, has 3 PCIE Gen3 x4 M.2 slots, 8 DDR4 memory slots, ALC 1220 audio with headphone amplification, dual gigabit Intel network adaptors, AC WIFI and Bluetooth. 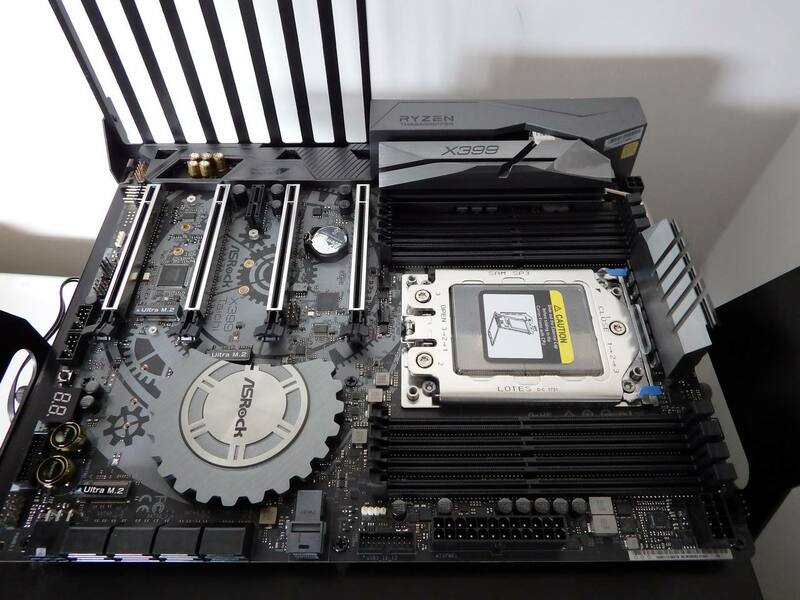 This board has all the essential features to suit the target market described above with some aesthetic and performance tweaking options for enthusiasts or gamers to also enjoy. 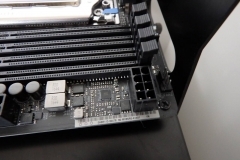 Quad channel memory is supported, as are ECC modules with 8 DDR4 3600+ (OC) slots on the board. 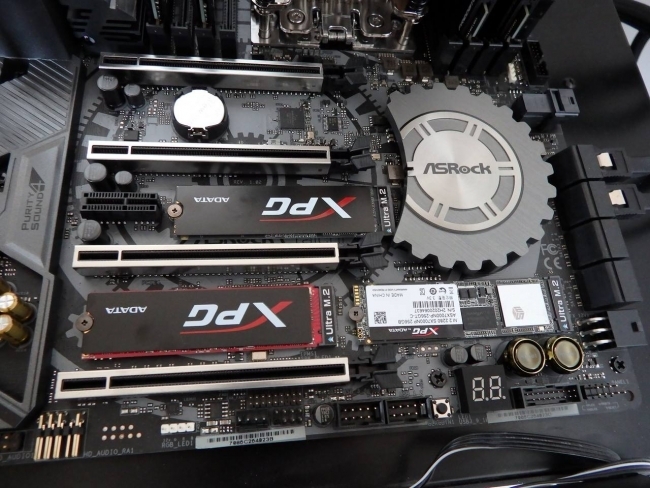 We used our 32 GB (4x8GB) HyperX Predator 3333 DDR4 kit with the 3333MHz XMP profile enabled and didn’t have any further tweaking to do – it just worked as it should. 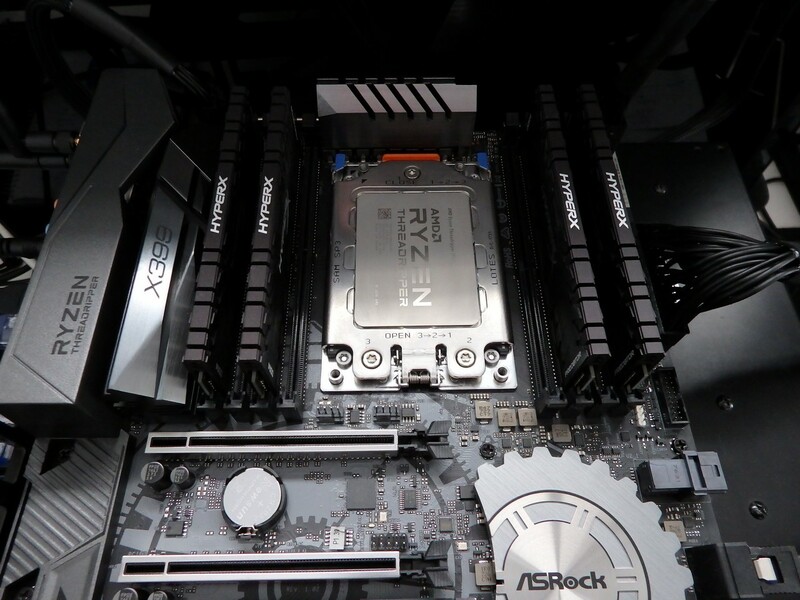 One of Threadripper’s key selling points is the 64 PCIE lanes for improved bandwidth over other CPU/platforms. This supports the 4 way GPU potential and triple M.2 PCIE Gen3 x4 SSD capabilities that we see in the motherboard specifications. 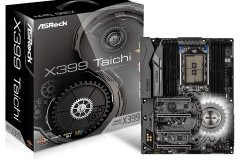 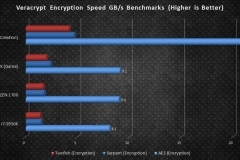 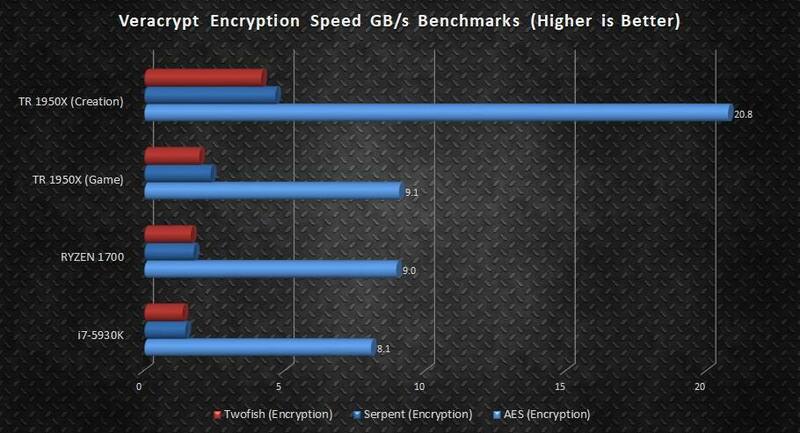 ASRock has managed to deliver bang for buck by not skimping on connectivity in their less expensive Taichi X399 offering. The Taichi line of motherboards from ASRock all have the same aesthetic theme, regardless of the chipset and the big gear/cog wheel on the board is their series signature. 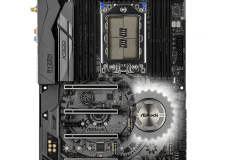 In the case of the X399, ASRock has designed the chipset heatsink around it and the ASRock Taichi ‘gear’ sits out from the board and has RGB lighting underneath it. 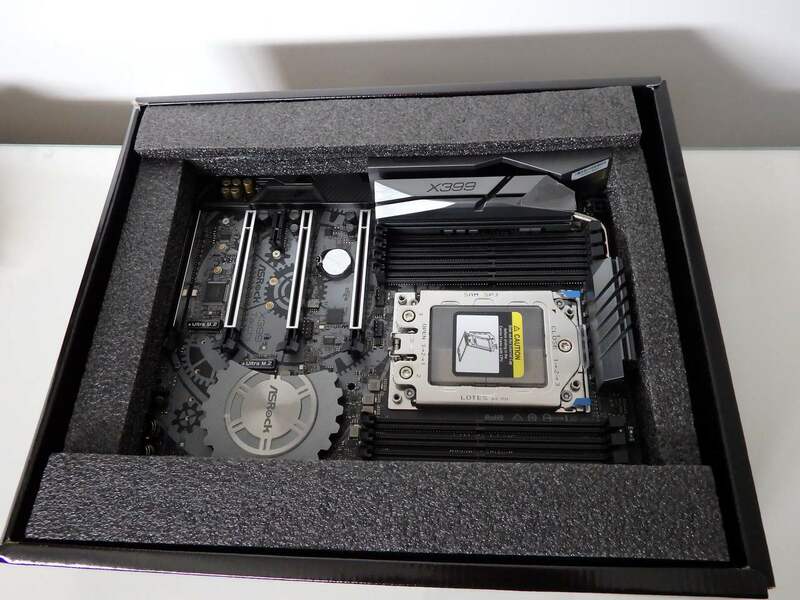 My first thought was actually Bethesda or a Fallout vault (from the games Fallout 3 and Fallout 4 by Bethesda Softworks) as there is a distinct likeness in the design. 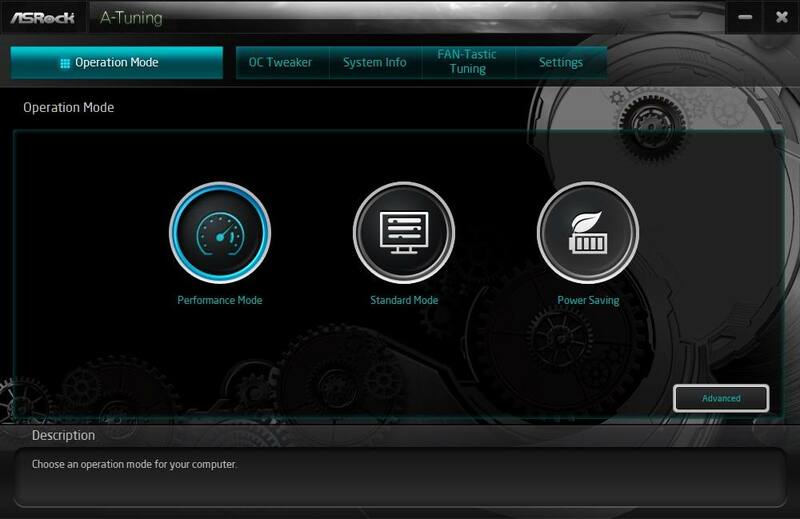 The overall aesthetic is quite neutral with subtle lighting, perhaps best described as ‘quietly confident’. 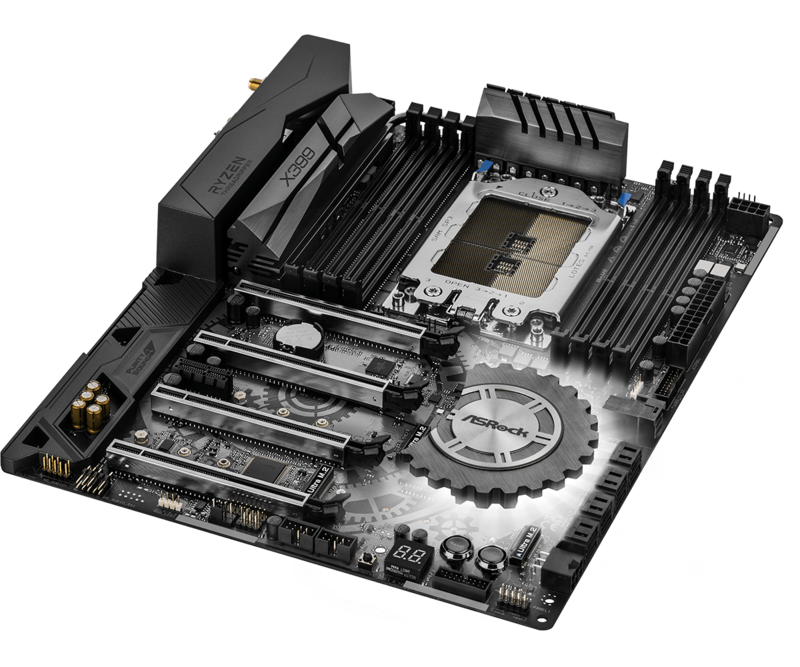 You could use this board in any build and accessorise or design around it with any coloured components and not have a clash. 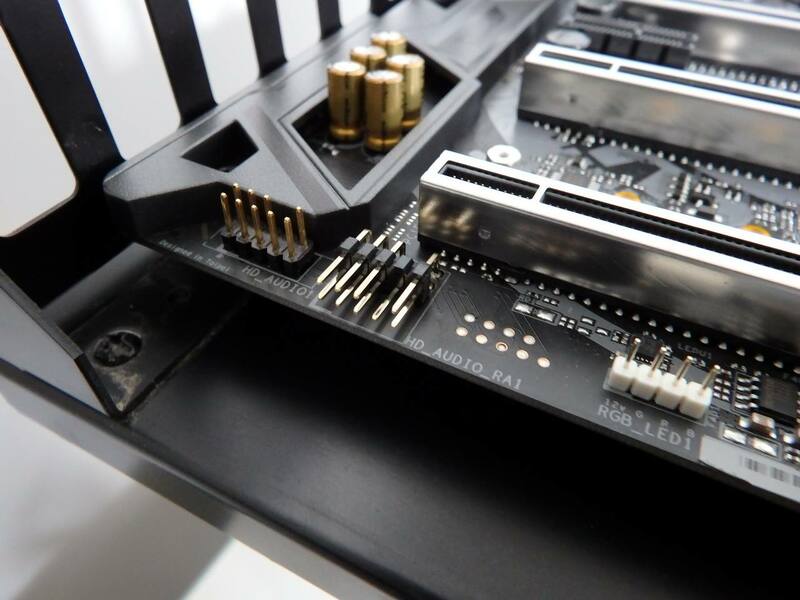 The layout is highly practical with cable headers, M.2 slots and shrouds in well thought out locations. 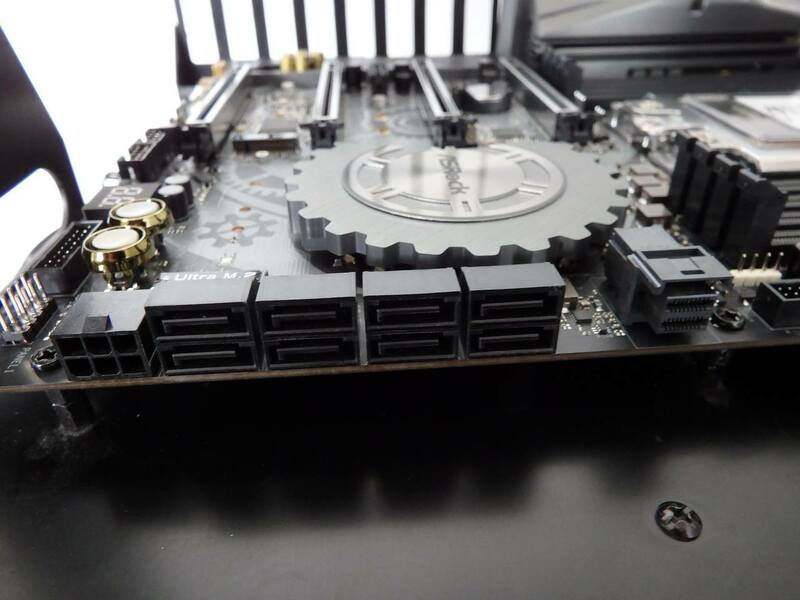 There are three M.2 slots – all support 42-80mm M.2 drives – located away from the graphics card in a single card configuration. 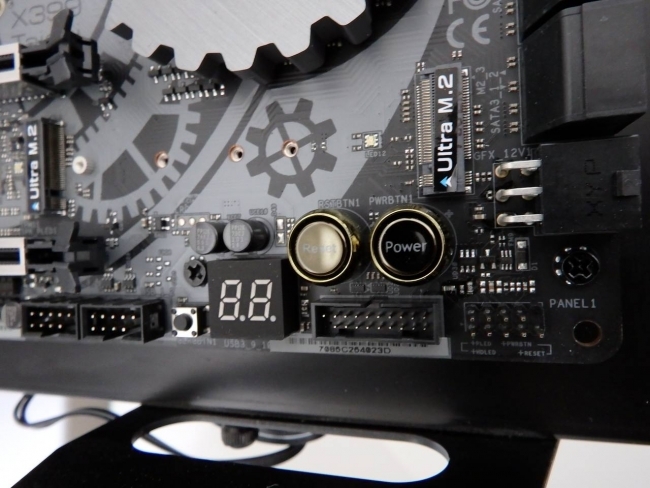 The inclusion of a debug code LED, power and reset buttons make troubleshooting on this board easier if you need it or if you run into difficulty with an overclock. 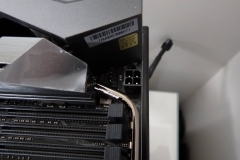 There are two CPU power connectors, a 4 pin and an 8 pin. 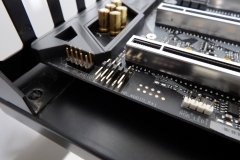 These connectors are separated with the 4 pin in the upper left corner of the board where we would normally expect it and on the upper right edge. 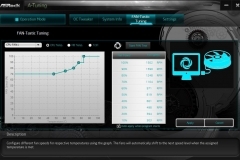 This is explained by ASRock to reduce temperatures and increase stability by routing the trace to the VRMs. 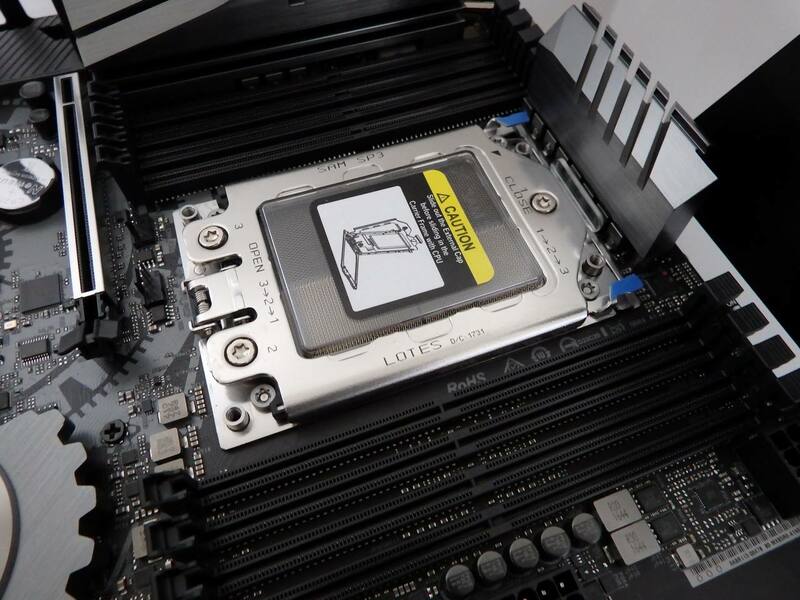 The 8 SATA 3 ports, U.2 connector and a PCIE 6-pin connector are all easy to access along the right side of the board oriented at a 90-degree angle from the motherboard for easy/neat cable management. USB and Audio headers are also in logical, easy to reach places. 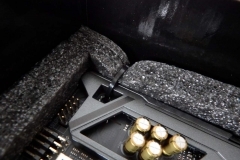 The plastic shroud protects the audio, rear IO and WIFI module from accidental knocks during installation and adds an aesthetic improvement to the Taichi as well. 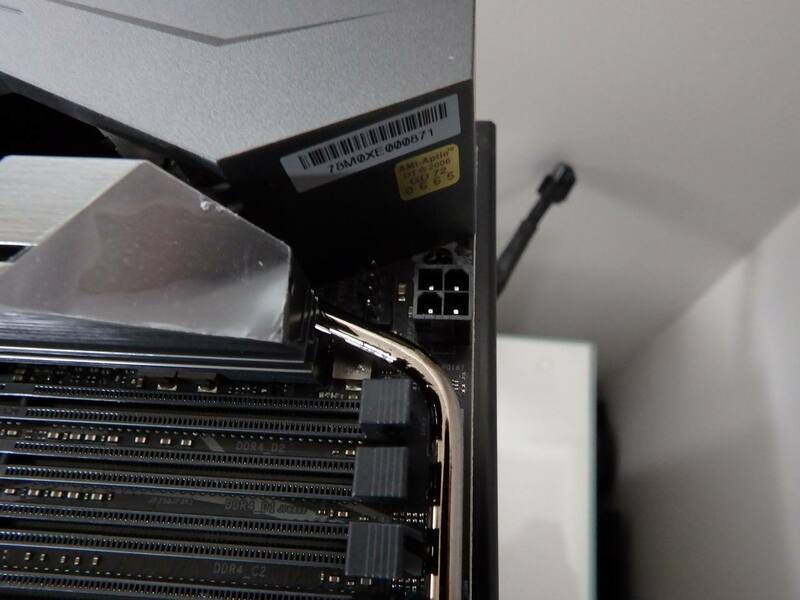 The AMD TR4 socket for Threadripper is big and the mounting system is also quite different from the norm. 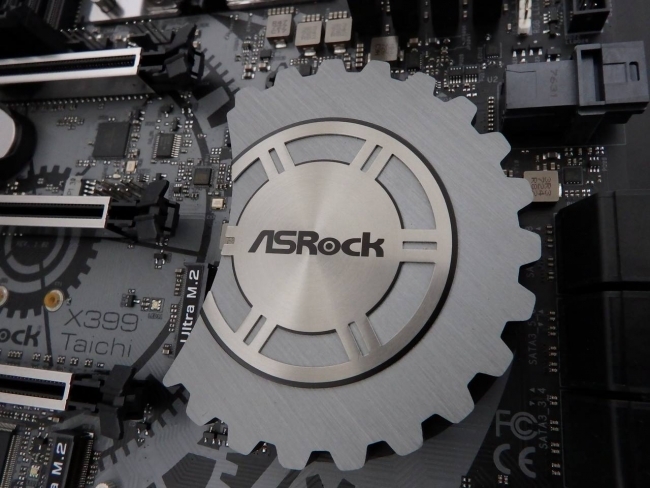 In our 1950X review, we linked a video on how it works and what’s changed. 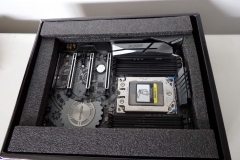 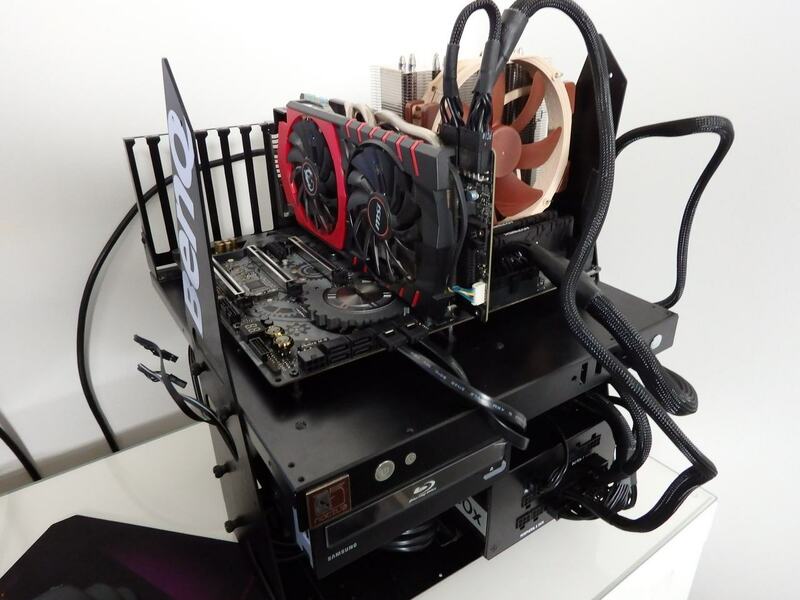 A larger CPU means less physical space on a standard ATX sized board is available for other components as more room is taken up with and around the socket area to ensure CPU coolers can be installed. 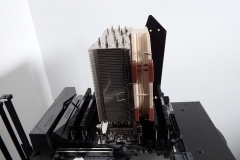 The heatsink at the top of the board, above the socket, didn’t get in the way when installing any of the 3 varieties of Noctua TR4 coolers we tested and there were no issues accessing the fan headers between the socket and the first PCIE slot. 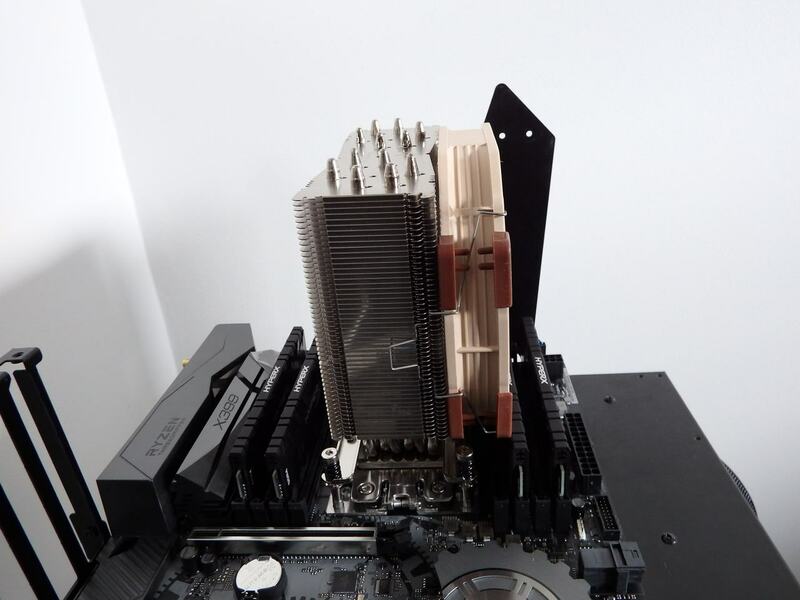 Air coolers may require some fan height adjustment depending on your RAM selection but this is no different to any other Threadripper motherboard and to be expected when working with 8 DDR4 slots. 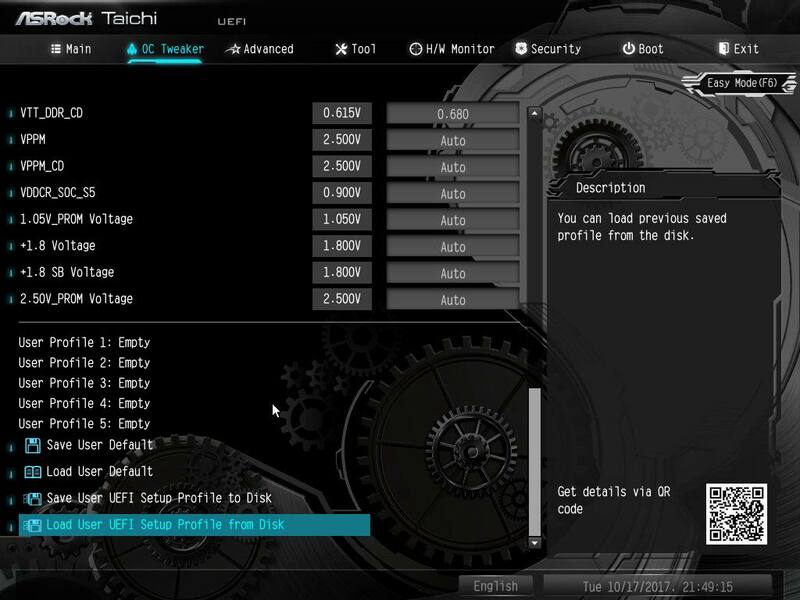 There are 3 M.2 slots on the Taichi and during testing, we found ourselves in a position where we could populate them all at the same time with PCIE Gen3x4 NVMe SSDs. 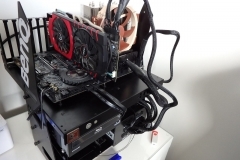 The end results were within acceptable margin for error when compared to each test being run in isolation – this is great news for people who are constantly multi-tasking. 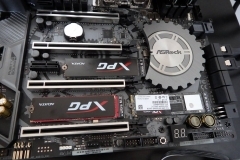 The more expensive ASRock Fatal1ty X399 Professional Gaming motherboard has a 10Gb LAN connector which is a worthwhile upgrade if you have a 10Gb backbone on your network. 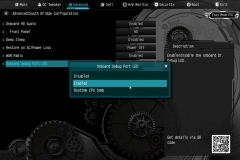 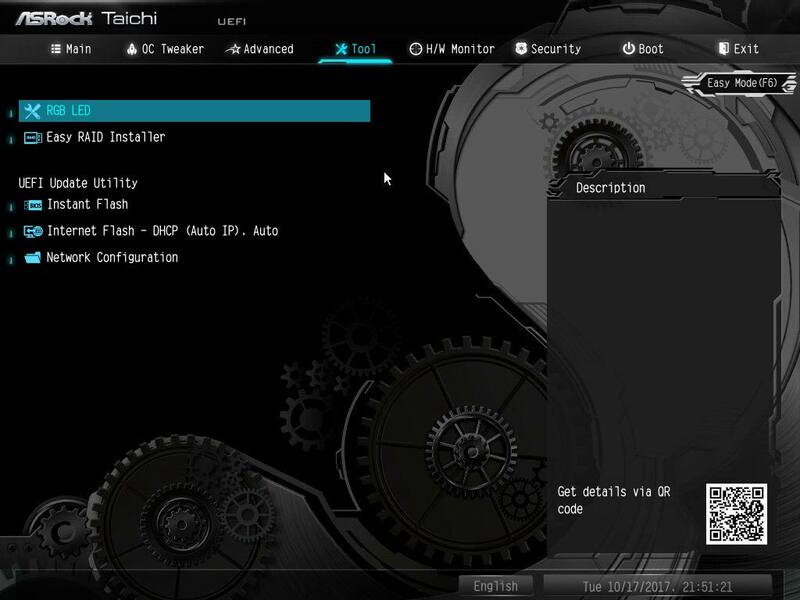 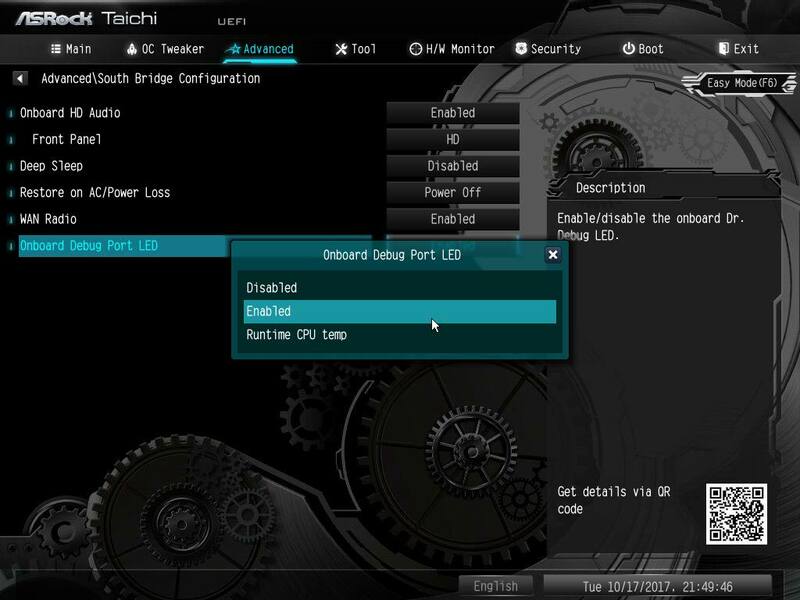 The Taichi has dual Gigabit Intel I211AT LAN that can be teamed if your OS supports it. 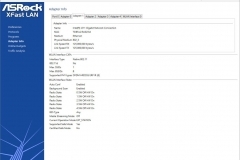 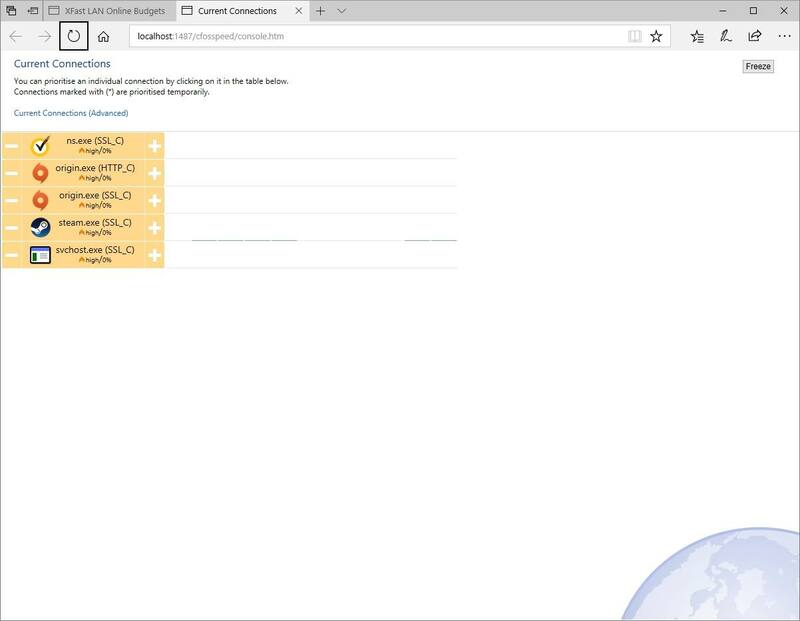 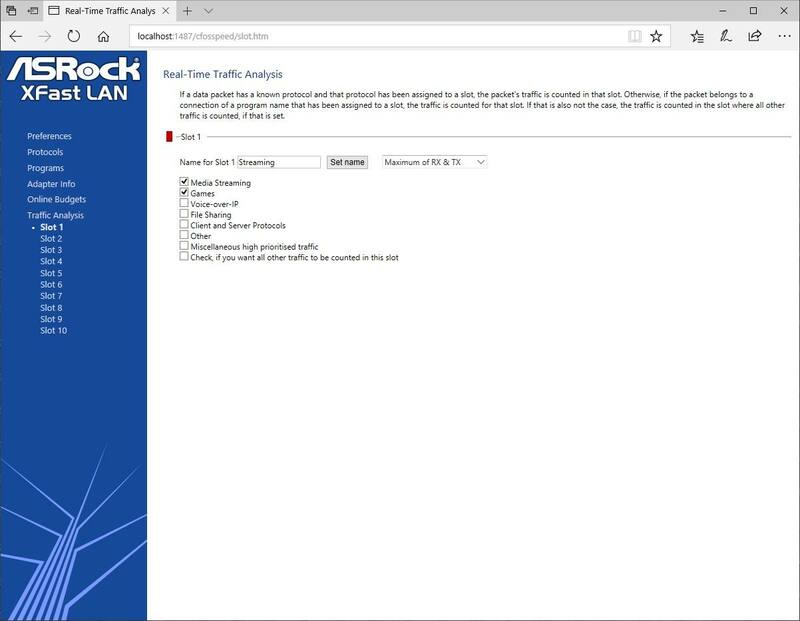 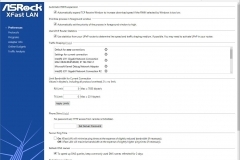 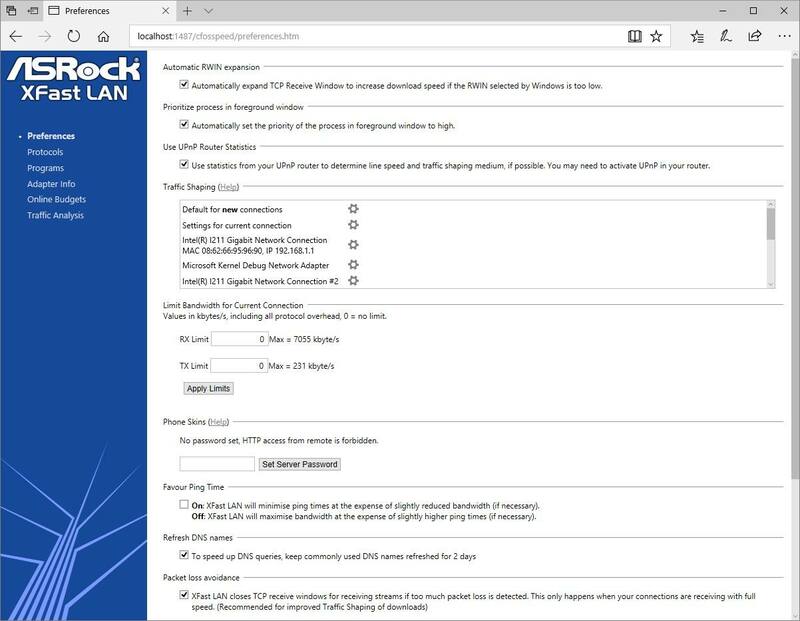 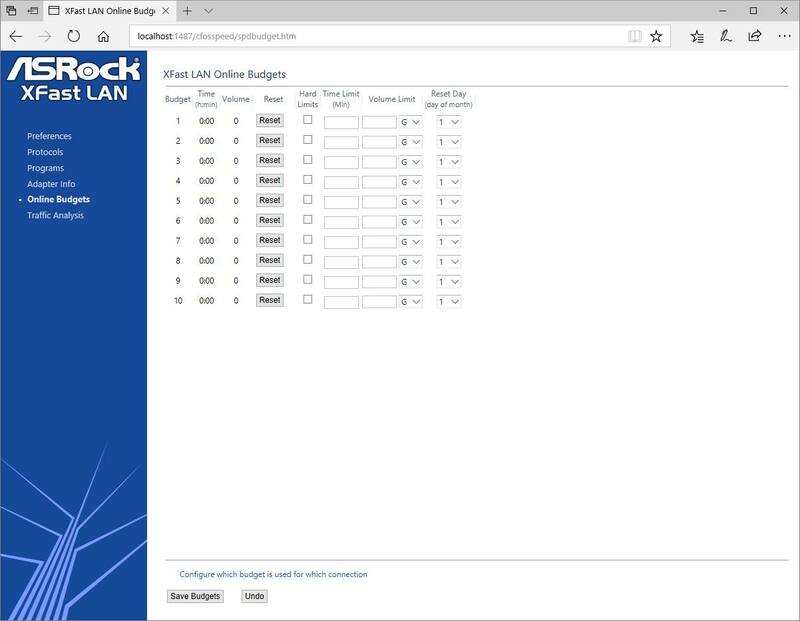 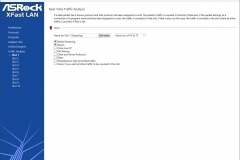 The XFast ASRock LAN application is web-based but highly configurable – there are screenshots later in this article to illustrate how much control you have over each adapter, application and traffic type. 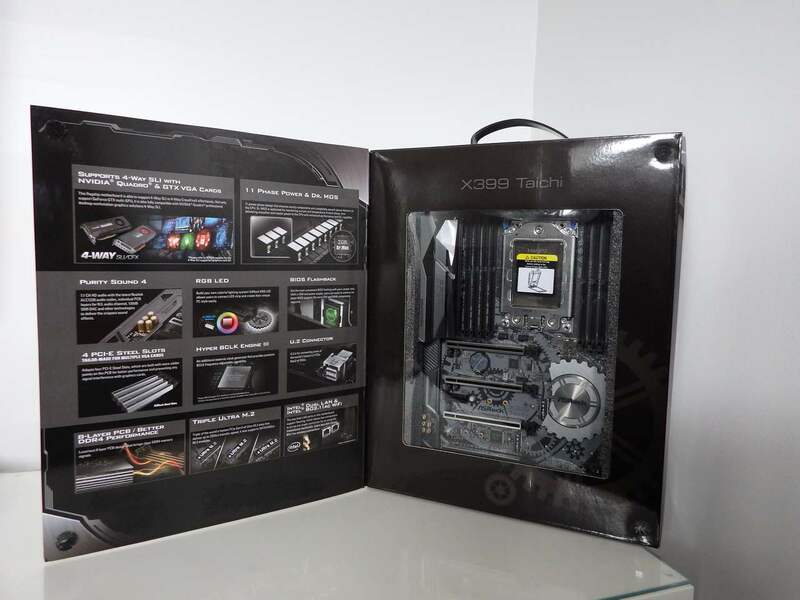 If you buy this motherboard, it is worth taking 5 minutes to familiarise yourself with the utility. 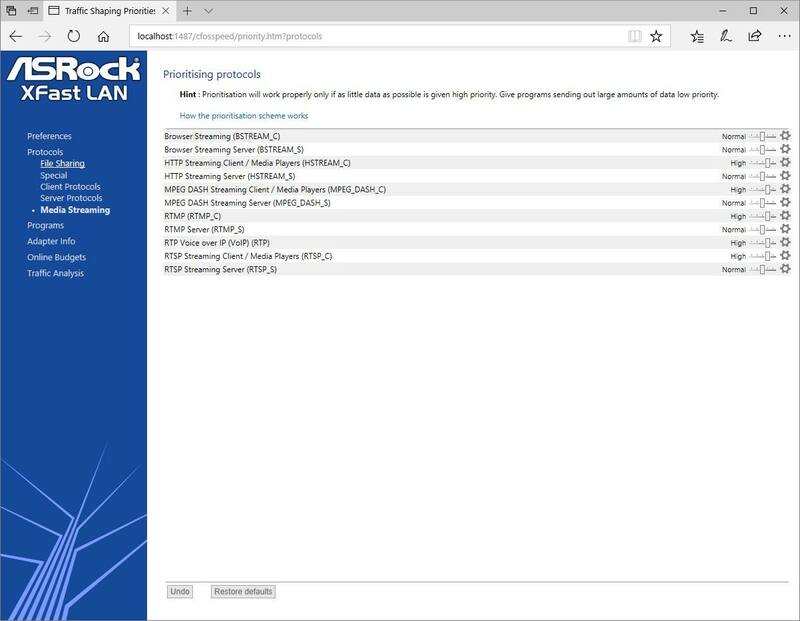 ASRock has branded their Realtek ALC1220 7.1 channel audio implementation as Purity 4. 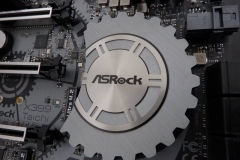 ALC1220 is a popular codec and we see that ASRock has also used Nichicon Fine Gold series caps and a TI NE5532 amplifier for the Front Panel audio connector. 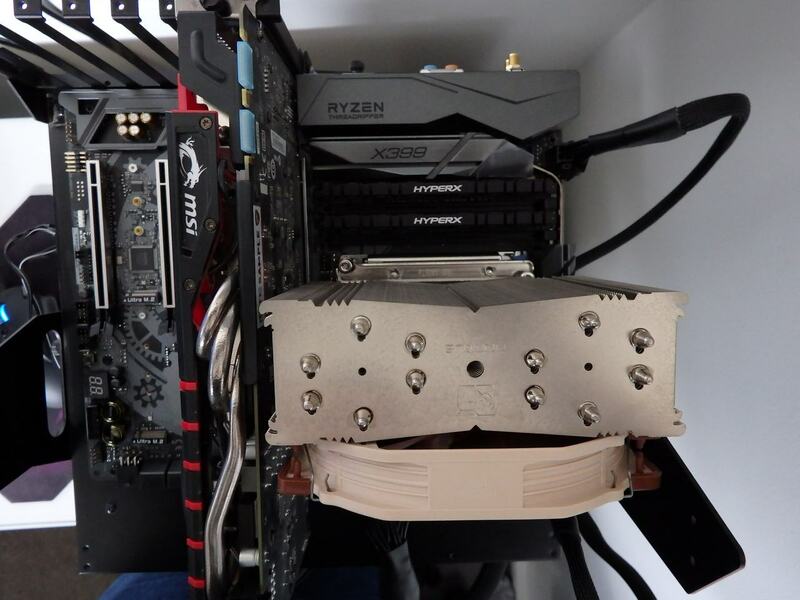 We did test this out with a front panel header unceremoniously ripped out of a surplus case and found the sound to be pretty good and on par with the rear port – to our ears anyway. 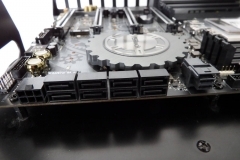 There is also the usual PCB isolation and gold jacks that we are accustomed to seeing on premium or gaming motherboards. 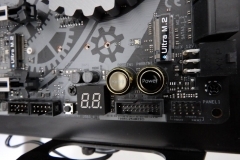 Purity 4 is rated at 120dB SNR and has individual PCB layers for the right and left channels. 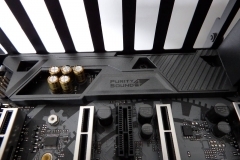 We tested the Purity 4 Audio solution with movies, music (both compressed MP3 and FLAC,) and a variety of games. 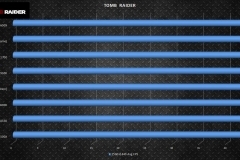 We used both the Logitech Z533 desktop speakers and 2 different sets of headphones, finding the result to be clear and immersive. 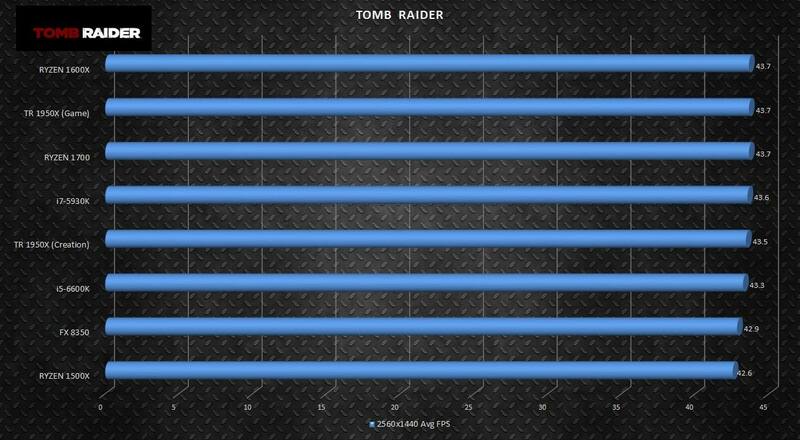 Games such as Battlefield 1 and Elder Scrolls Online sounded great and we didn’t have any complaints. 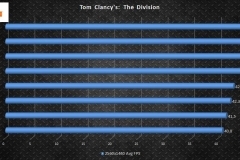 When playing COD: Black Ops 3 I noted the clarity of footsteps and found that despite my ‘casual’ commitment to this game, I was able to maintain a positive Kill/Death Ratio so it was pretty clear that the Threadripper test system wasn’t holding me back. Note that the only configuration software provided is the Realtek HD Audio Manager. 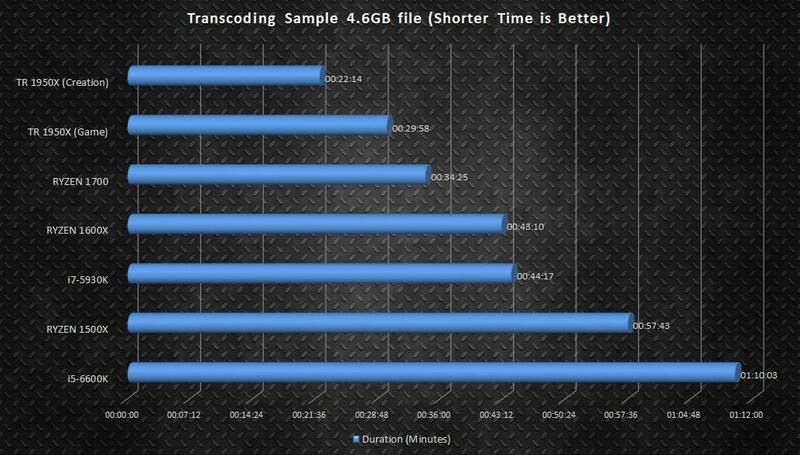 This wasn’t an issue for us but if you are moving from a system that has Creative Audio software or similar and you actually use it, this is something to keep in mind. 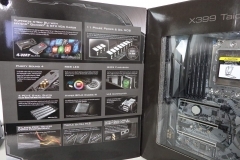 Despite the package receiving a hard time during shipping, when I opened the retail box I was pleased to see the heavy-duty packing and noted that the motherboard was even zip-tied to the protective foam! 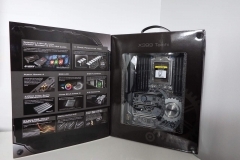 This is the first time I’ve had to cut a motherboard from the packaging and it goes to show that ASROCK probably trust couriers as much as I do. 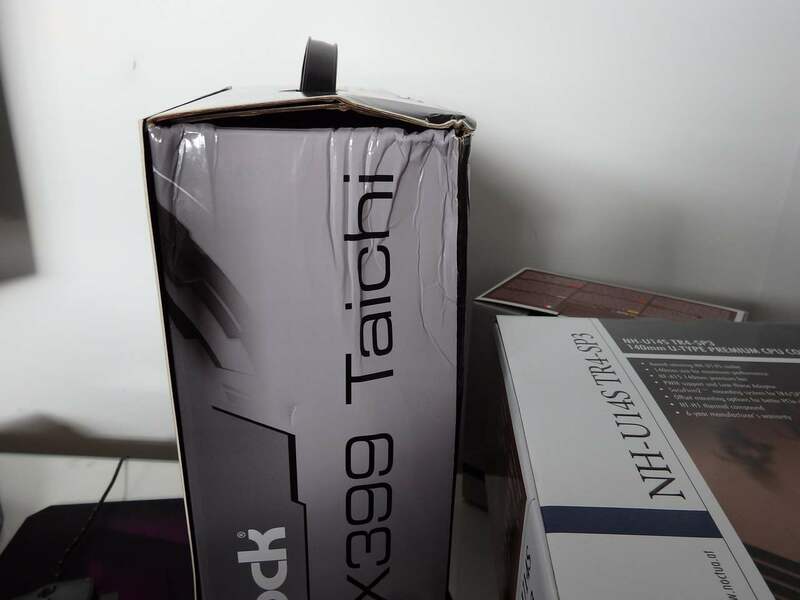 As a result of some very considerate standard retail packing, the X399 Taichi survived shipping and arrived undamaged. 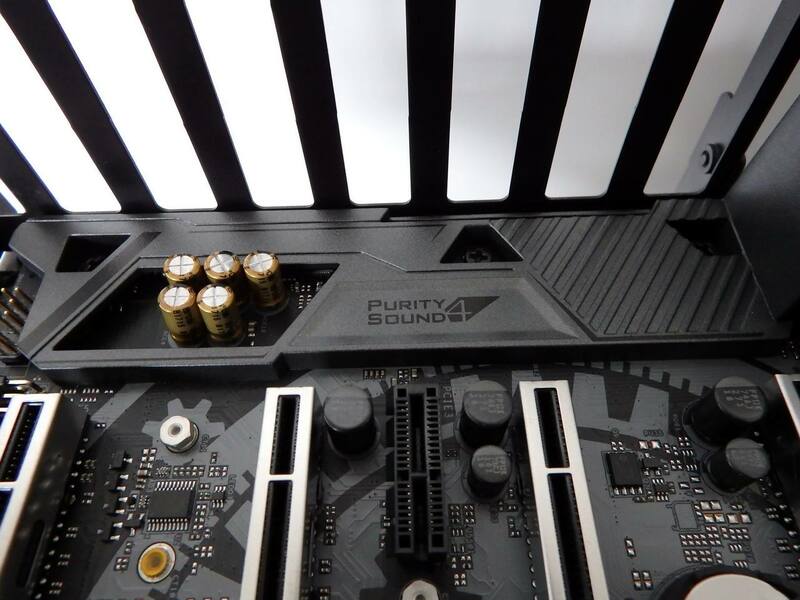 As you can see in the gallery below, the board looks as per the promotional photos and some elements of the build quality are immediately obvious with others less visible. 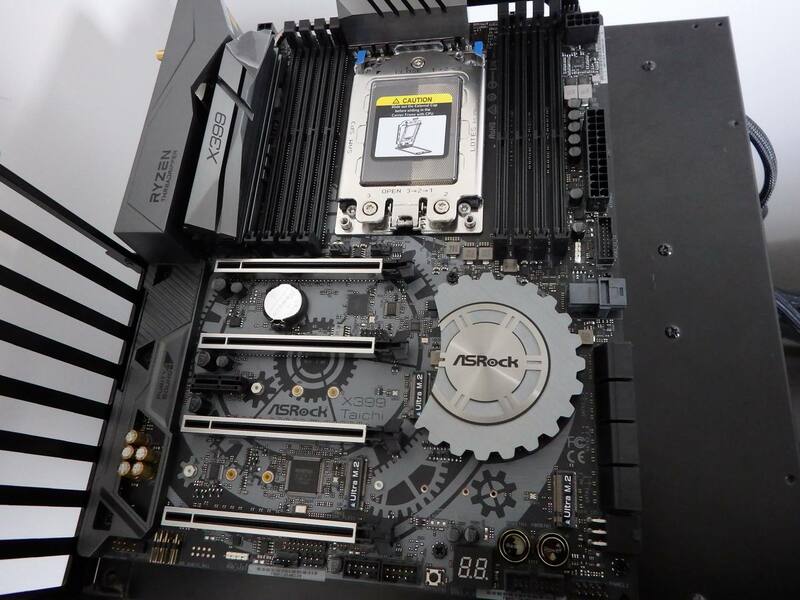 There has been a focus on power delivery by ASRock with the 11 phase power design and separation of the CPU power connectors. 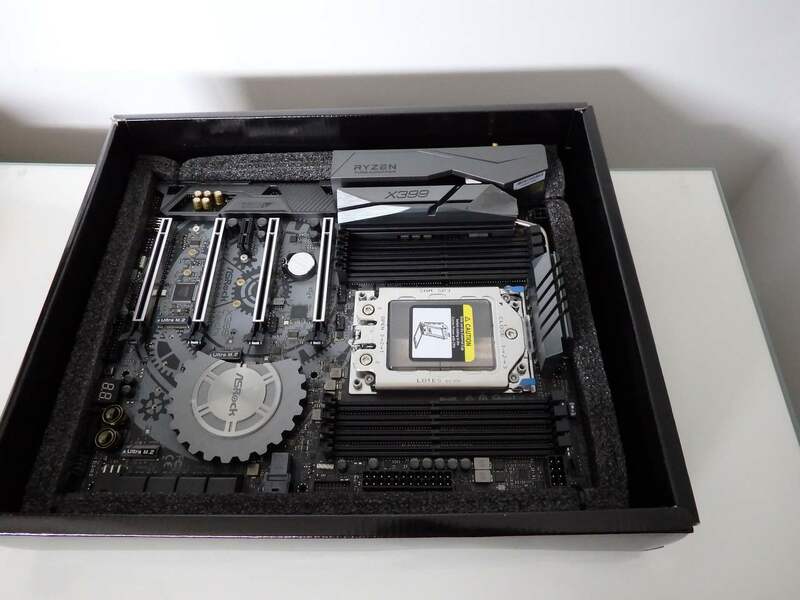 Component protection is also present with Rear IO ESD shielding, high-density glass fabric PCB that ASRock say provide additional protection against electrical shorts caused by humidity and the increasingly popular steel PCIE slot protection to better support heavy graphics cards. 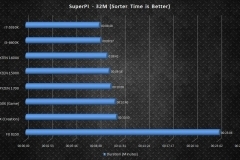 We also see alloy chokes and Nichicon 12K black capacitors expected to last at least 12,000 hours. 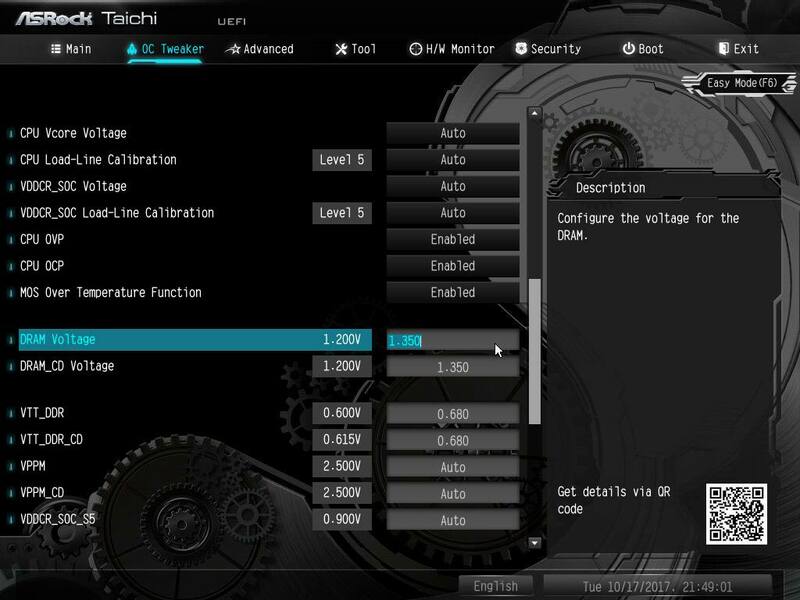 Overall, the Taichi was very stable – the only issues we had were as expected when overclocking with the Noctua U14S air cooler which is not the motherboard’s fault. 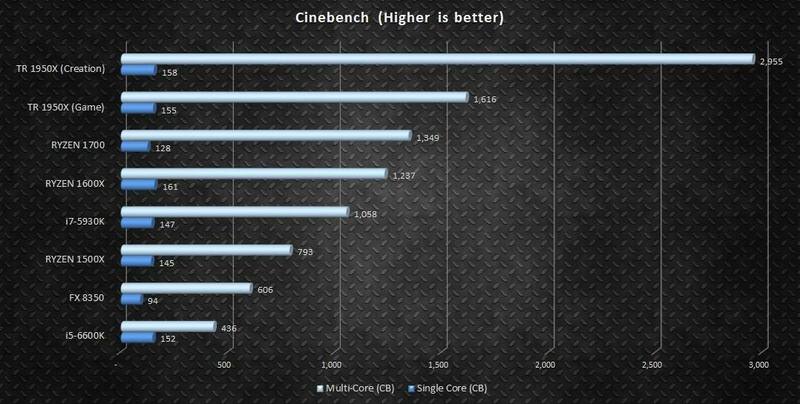 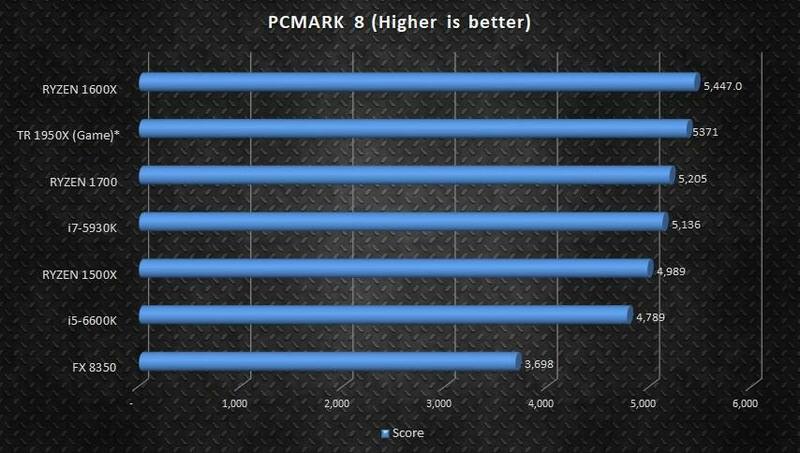 The OC result was respectable and there are no guarantees when you push any CPU beyond the manufacturer specifications. 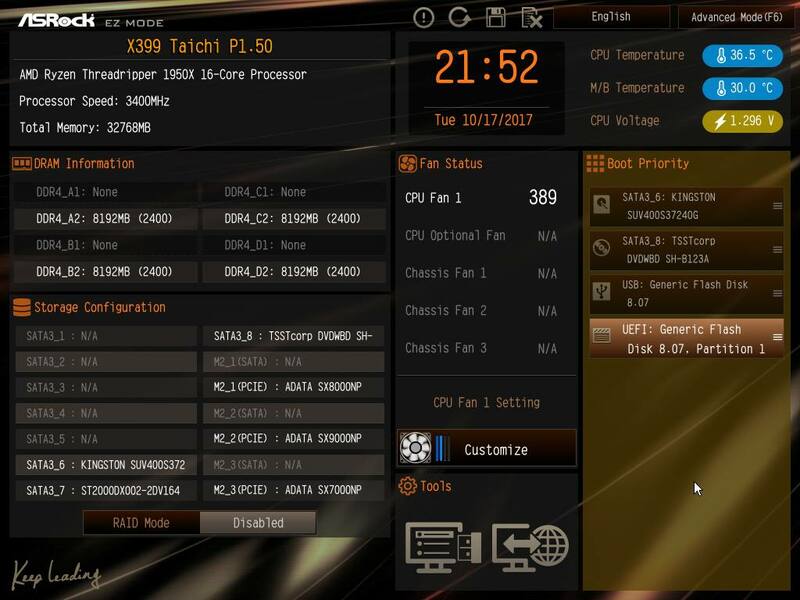 Everything else ran 100% stable for a 4 week period including a BIOS update and DDR4-3333MHz running on an XMP setting. 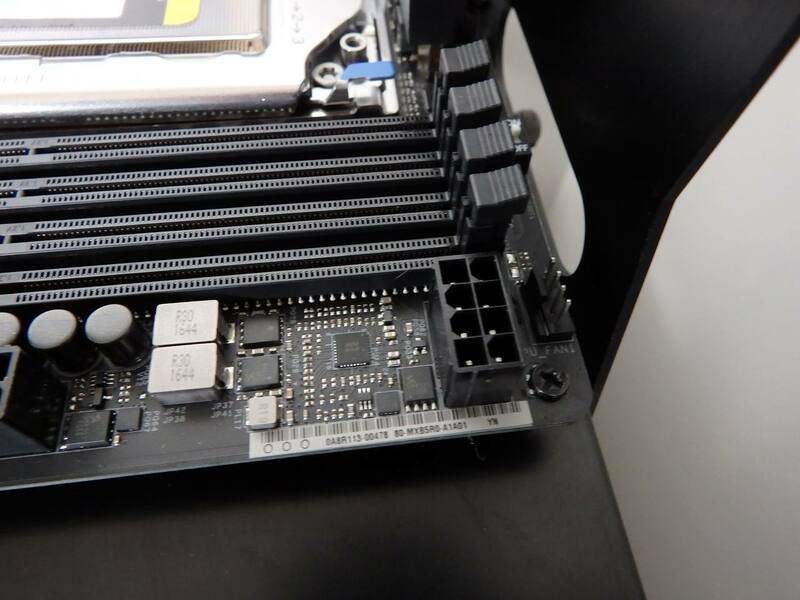 The board and all connectors both looked and felt durable with no movement visible on any of the SATA, PCIE, power or USB connectors. 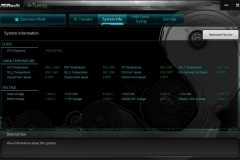 We didn’t have any issues updating the BIOS from a memory stick nor navigating the extensive tweaking options. 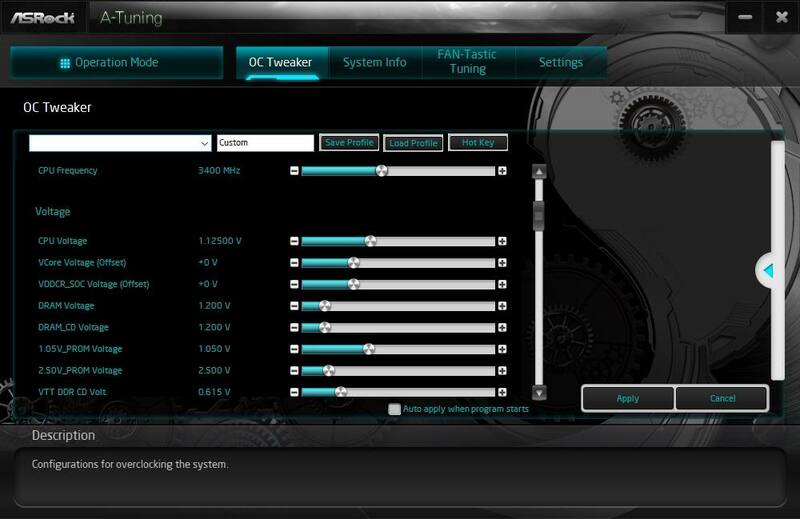 As stated earlier, our HyperX Predator 3333 DDR4 memory worked on an XMP profile without any dramas at 3333MHz too. 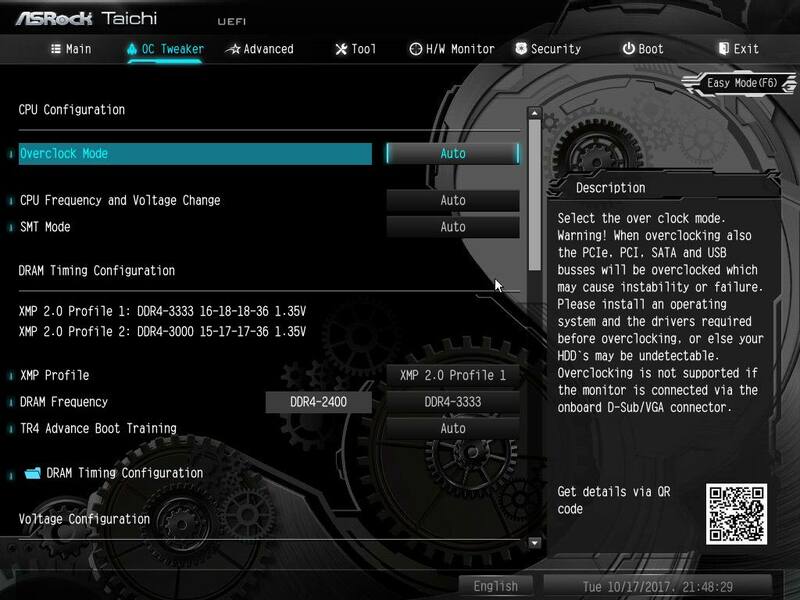 There is also a flashback function where users can update the BIOS with only a USB stick and power supply. 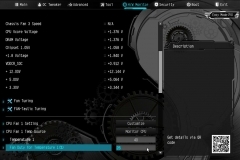 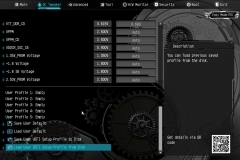 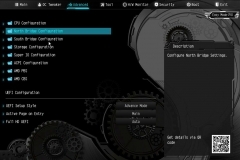 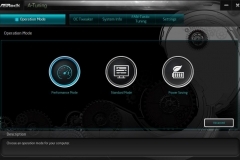 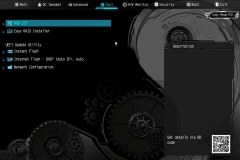 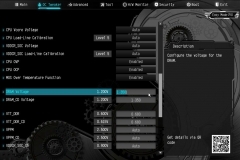 No CPU or RAM is needed – which is handy if you need to install a BIOS update for the motherboard to recognise your CPU or memory sometime down the track or if you have a corrupted BIOS and can’t get into the flash utility. 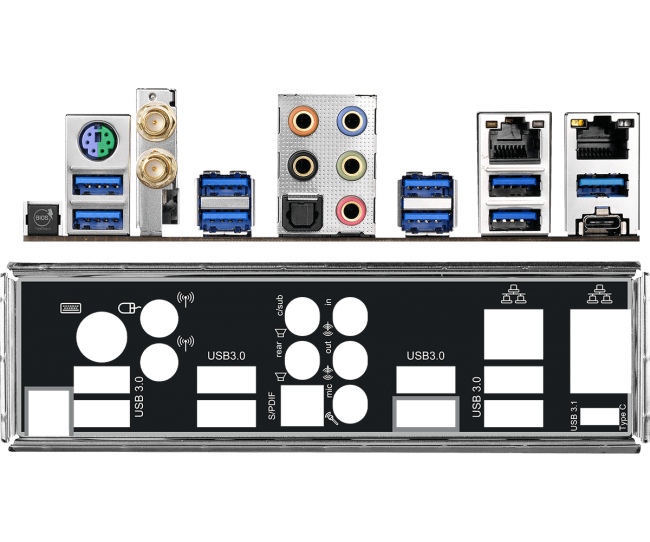 On the back, we see a PS/2 connector, the BIOS Flashback Switch, gold audio jacks and optical SPIDF output, 2 antenna ports for WIFI, 1xUSB 3.1 Gen 2 Type-A (10Gb/s), 1xUSB 3.1 Gen2 Type-C (10Gb/s), 8xUSB 3.1 Gen 1 and 2 RJ45 LAN ports. 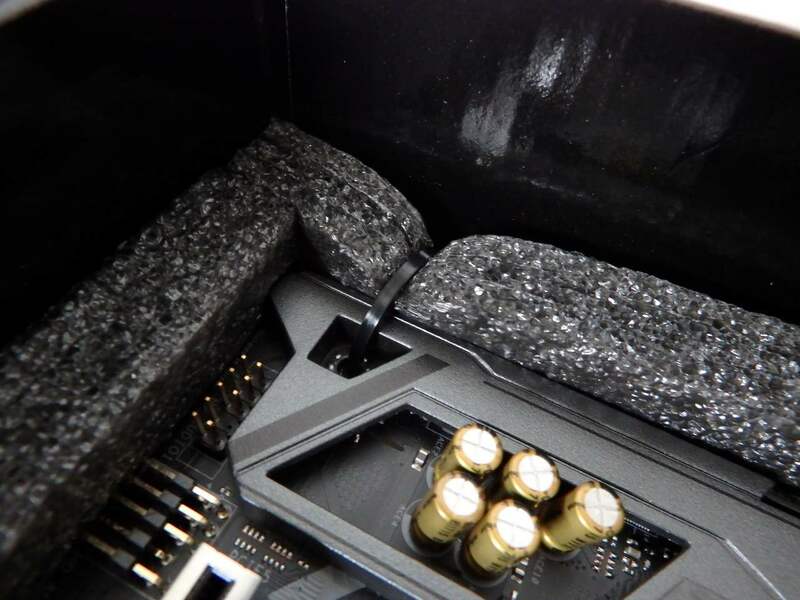 All USB ports have Electrostatic Discharge protection. 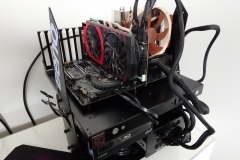 ****The Chassis Optional/Water Pump Fan supports the water cooler fan of maximum 1.5A (18W) fan power. 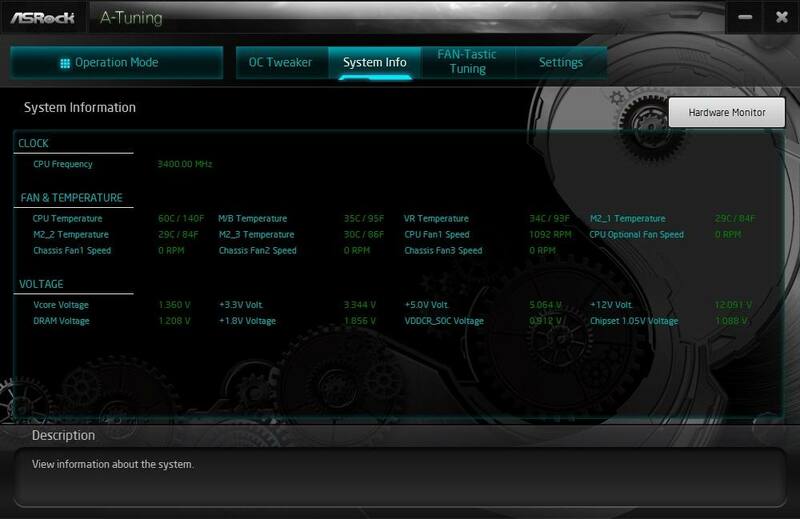 CPU_FAN1, CHA_FAN1, CHA_FAN2, CPU_OPT/W_PUMP and CHA_FAN3/W_PUMP can auto-detect if 3-pin or 4-pin fan is in use. 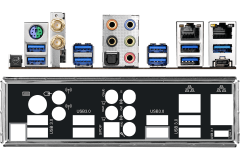 HD Audio Jacks: Rear Speaker / Central / Bass / Line in / Front Speaker / Microphone (Gold Audio Jacks)*Ultra USB Power is supported on USB3_6 port. 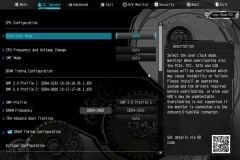 ACPI wake-up function is not supported on USB3_6 port. 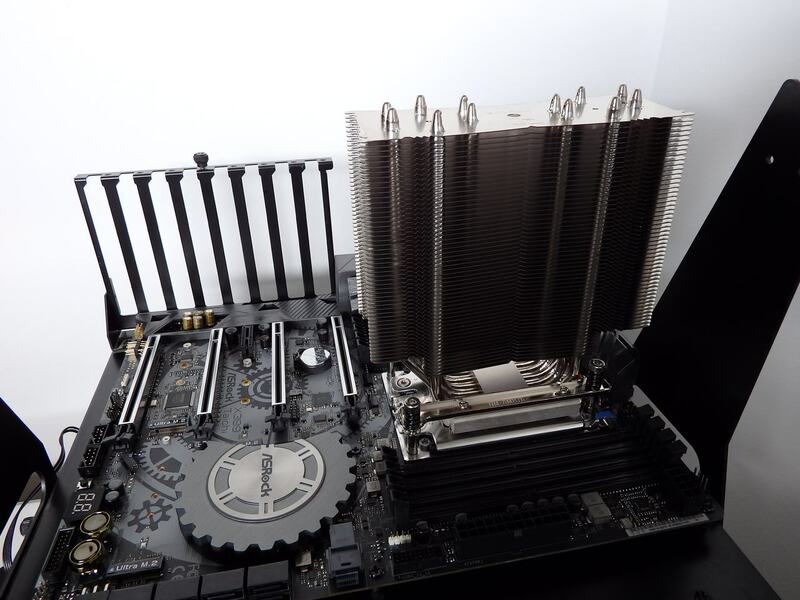 The test setup was built on our Lian Li Pitstop test bench. 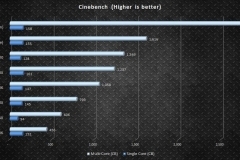 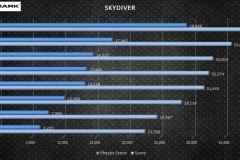 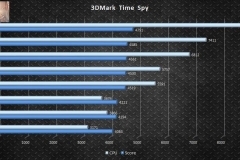 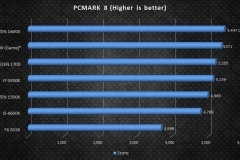 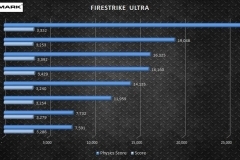 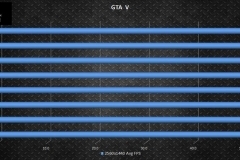 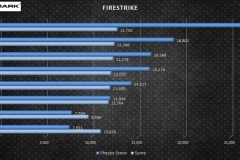 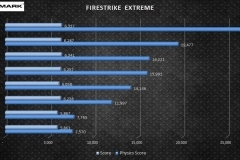 Check out the 1950X review for our detailed performance benchmarks but the graphs can be found in the gallery below for the highlights. 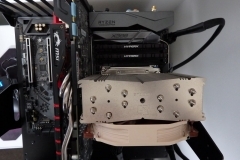 As per the recent Threadripper 1950X review, we managed a stable overclock on air to 3.9GHz at 1.38v where we saw the Noctua fan running at full speed with temperatures up to 79C in HW Monitor (without the offset). 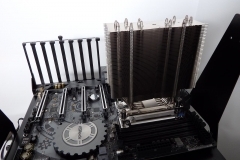 We are confident that this could almost certainly have been tweaked a little further with water cooling, and when we considered that this CPU is a ‘loaner’, we backed off. 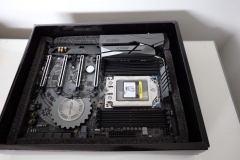 We have little doubt that our 1950X and the Taichi motherboard had more to give and with serious water cooling, we’d have gone for a touch more. 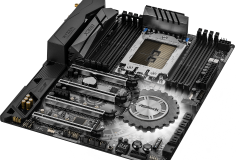 As always, remember that a good board doesn’t guarantee you a beastly overclock due to the silicon lottery but if you do get a good chip it pays to have all the tweaking options available to make the most of it. 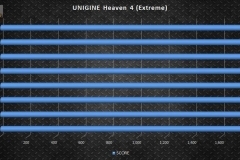 We played the following games without any issues or complaints on the X399 Taichi. 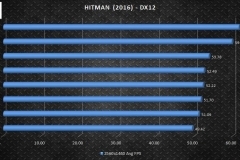 Although we did experience some performance issues with Fallout 4, the issue is due to that particular title not knowing how to handle more than 20 threads so it will be the same on all X399 Threadripper systems. 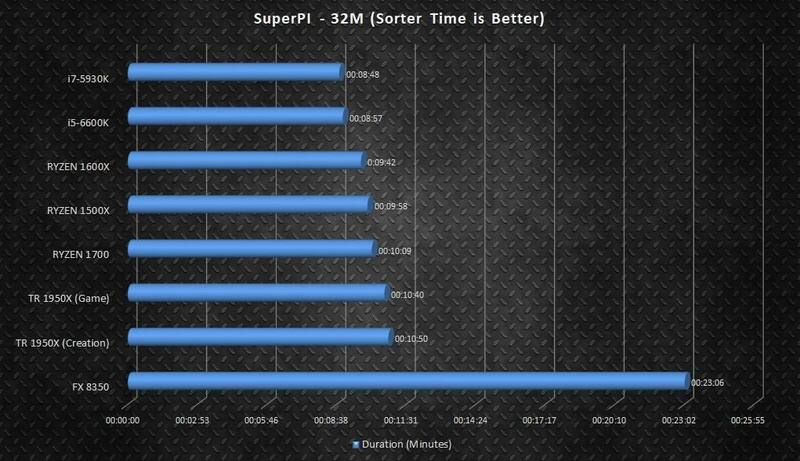 Other than that, performance was good, pings for online titles were inline with what we normally see on our other test systems and audio was great across all titles in the list below. 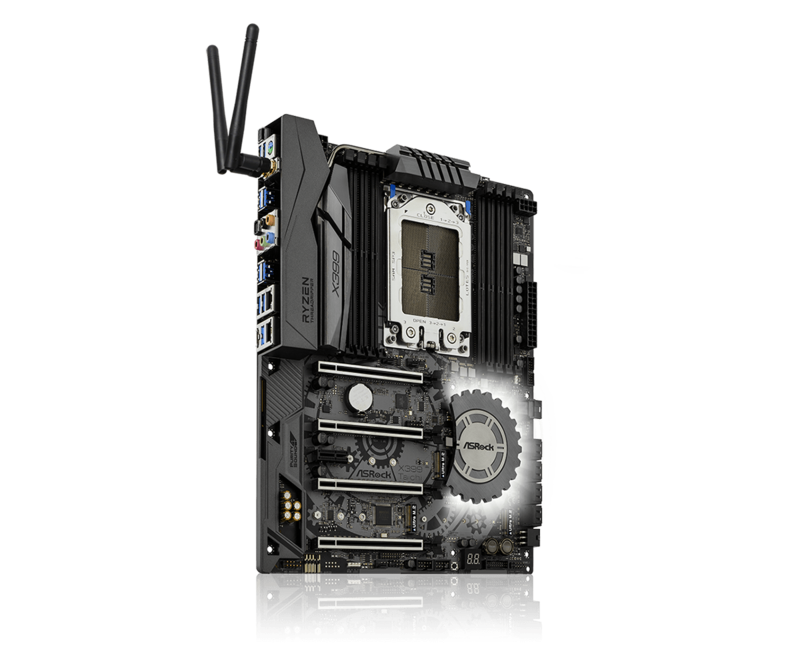 At $549, anyone building a Threadripper system should at least look at this motherboard as a starting point and then evaluate the difference between it and other boards. 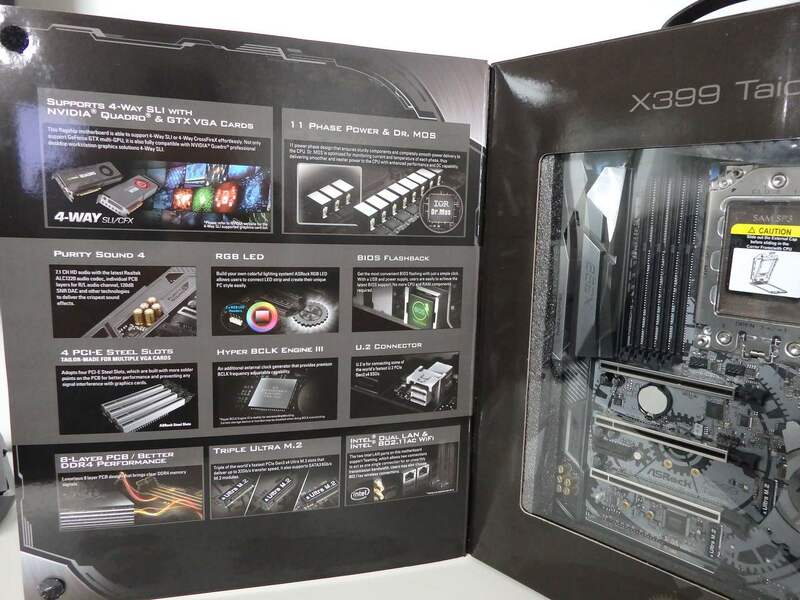 Differences may include, aesthetics, 10Gb LAN, improved audio etc. 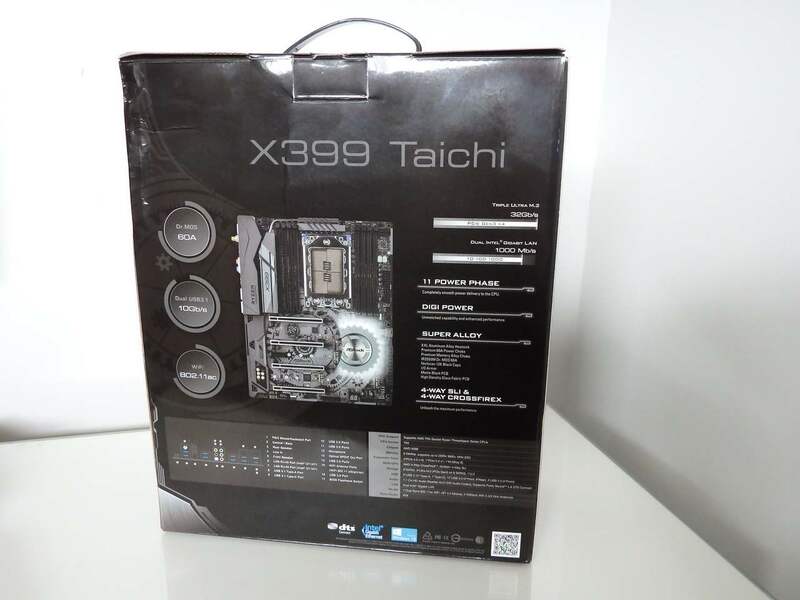 The X399 Taichi is good value when you look at the layout, connectivity and features provided. 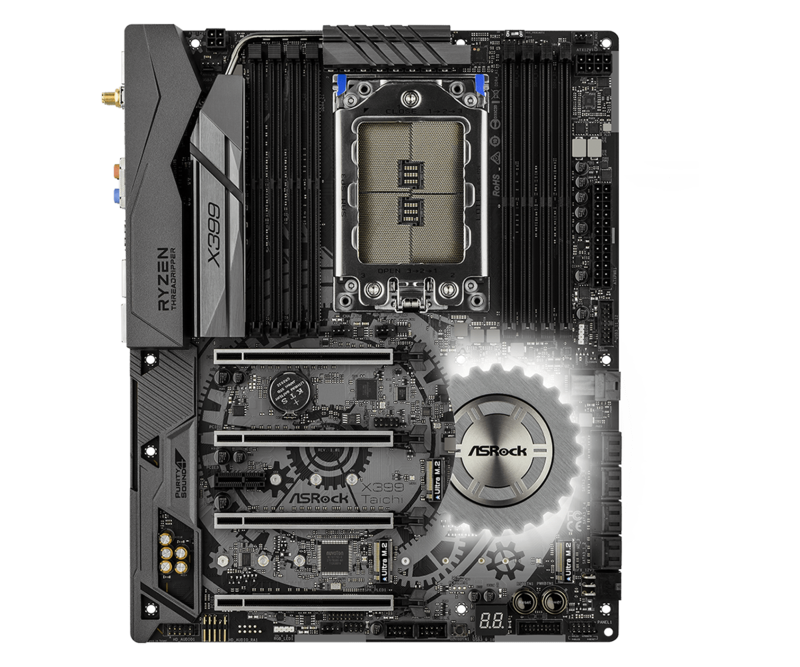 In the four weeks that we used this board in our Threadripper test system on a daily basis, it didn’t miss a beat. 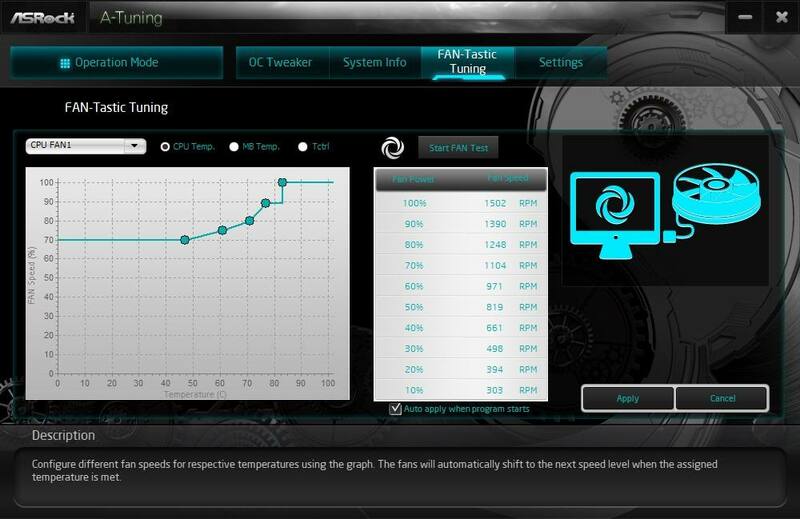 With better cooling, we think we might have been able to push the overclock a smidge higher too. 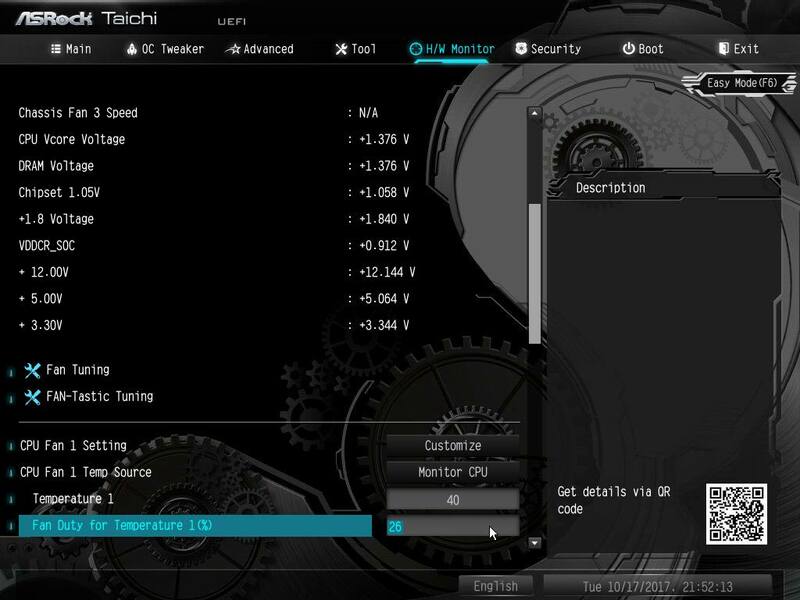 The X399 Taichi has everything we’d be looking for in a Threadripper system. 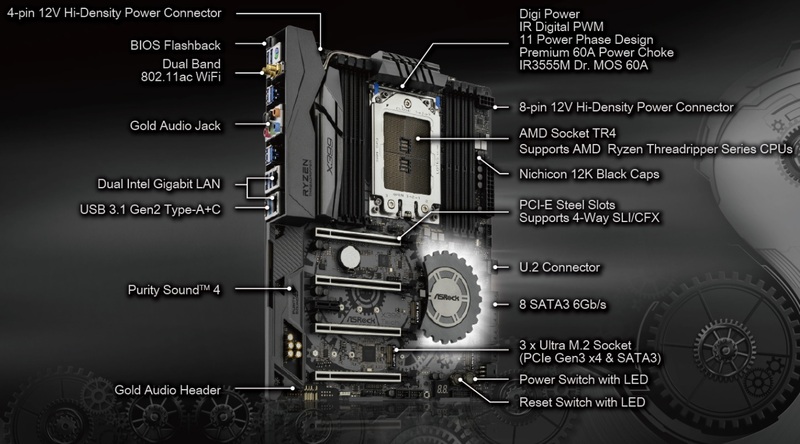 On a personal level, I’d be more than happy with this motherboard and would probably get more value from a better graphics card or larger M.2 drive than some of the features on the more expensive X399 alternatives. 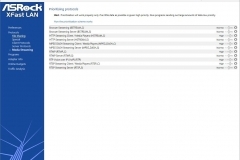 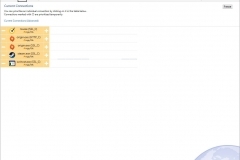 – The software suite could use a little more polish but it is functional.